The Sechenov district of the Nizhny Novgorod region, 19th century. 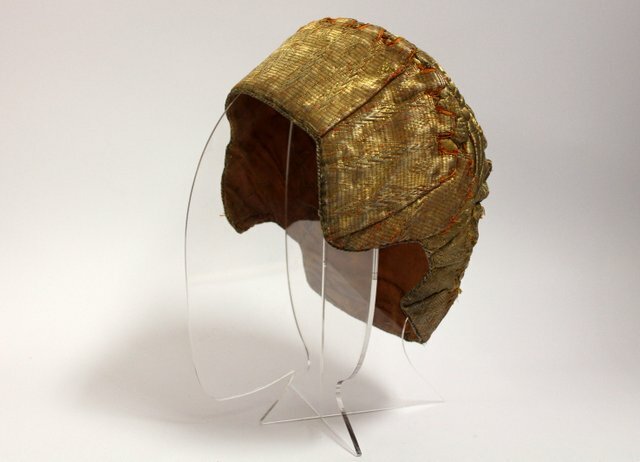 It consists of slightly convex bottom, passing to the occipital part and fully decorated with gold embroidery with floral ornaments, as well as headband made ​​of broad woven gimped ribbon embedded and tucked in the folds. Inside the kokoshnik is strengthened with hard linen canvas. 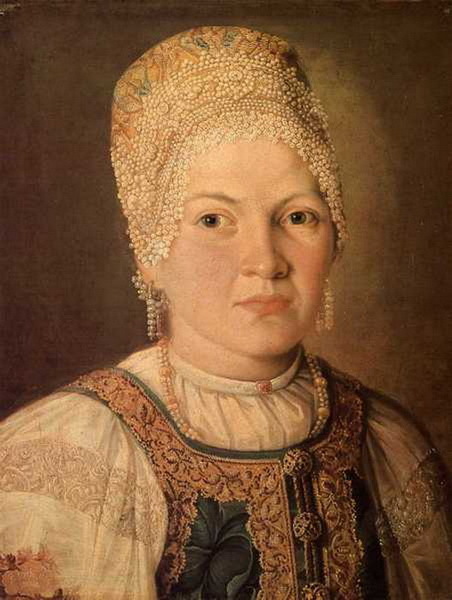 Apparently, this was a kokoshnik of a rich merchant's wife or a noblewoman, because most village women wore the kokoshniks of less expensive materials such as velvet or silk even on holidays. In old Russia the kokoshnik was considered to be almost the most valuable part of a girl's dowry. The 17th century records describe the kokoshniks that were made of "pearl with stones” or "embroidered with gold.” Apparently, there could not be many kokoshniks owned; in 1695 one Kvashnin was giving as a dowry to his daughter 11 kokoshniks: 3 ceremonial and 8 casual. 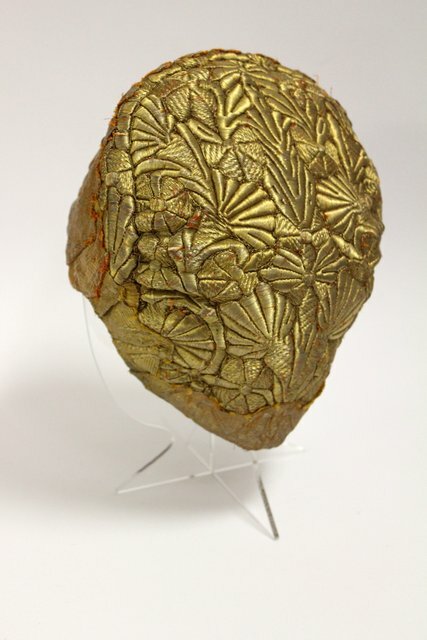 Undoubtedly, such a valuable headdress would be repaired and patched to be passed on to the next generations.